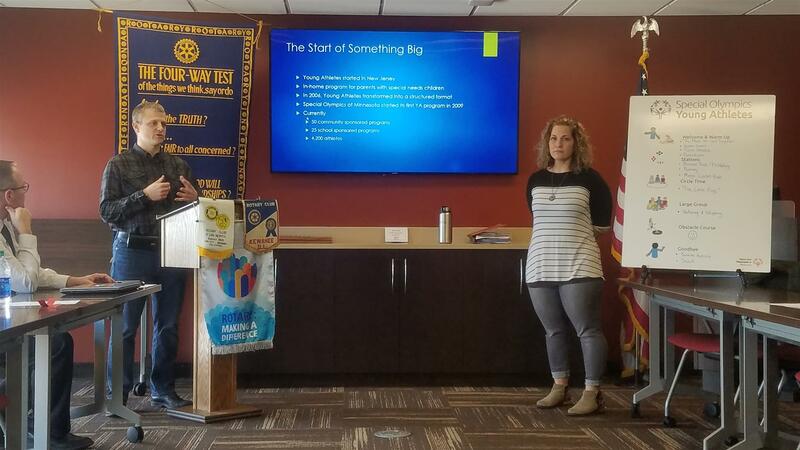 We are looking into a new Rotary year. 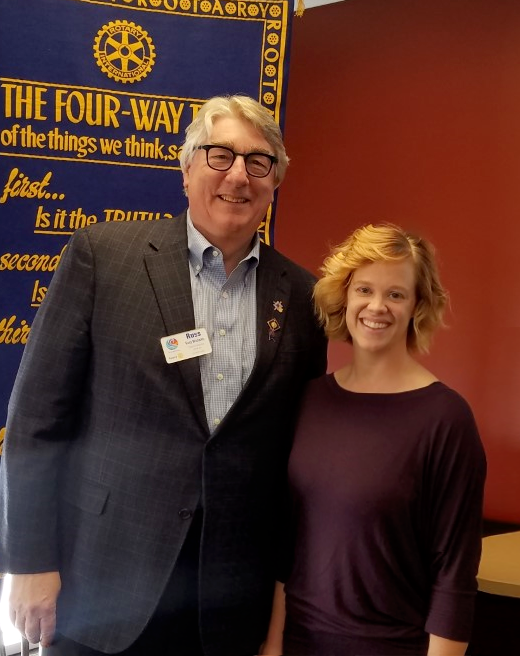 Pictured below is the incoming District 5950 Governor Russ Michaeltz and Jennifer Kerfeld who was named the President for the Sauk Centre Rotary club 2019-2020 year. 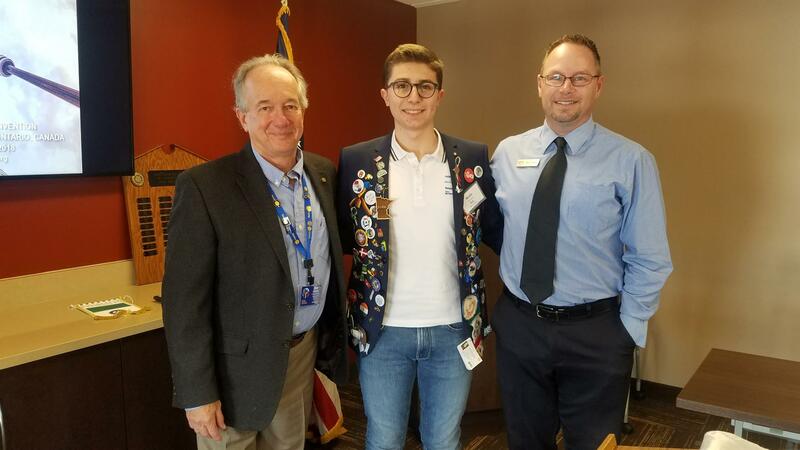 We had a visit from some of our District Rotary friends. 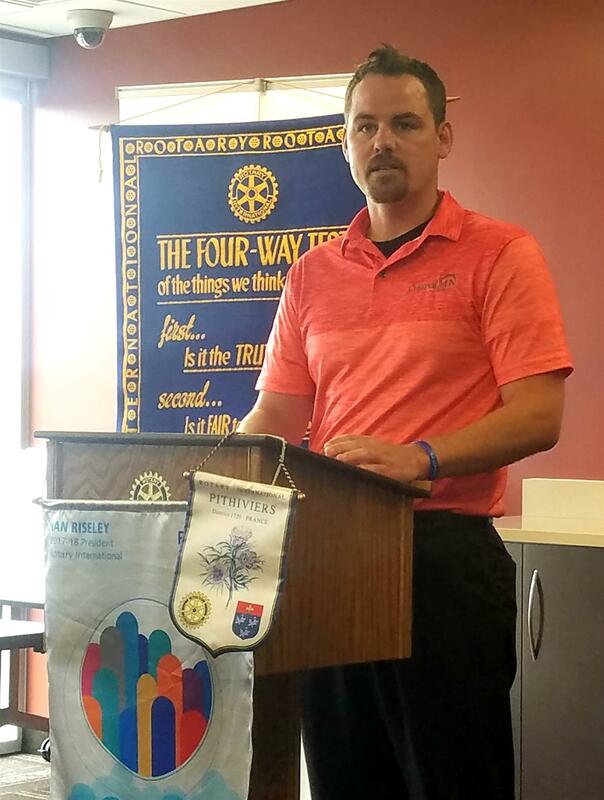 Jim gave us some great information about the Rotary Foundation. What the funds are used for, how the funds are gathered and how they decide who will receive local and international grants. Our club has utilized these grants that past couple years and we would love to continue to do so. 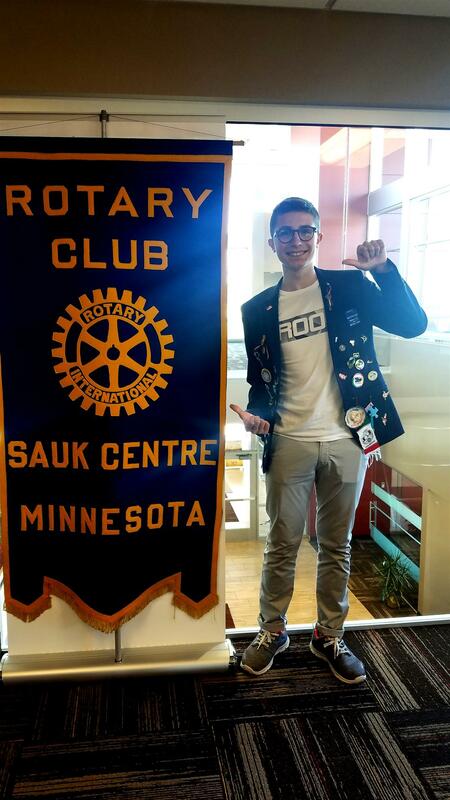 Learn more here:https://www.rotary.org/en/about-rotary/rotary-foundation Together we can all make a difference! 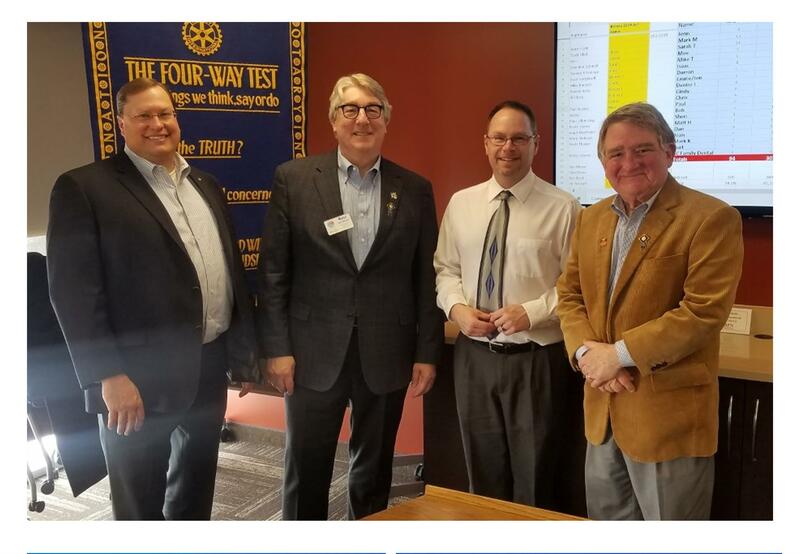 Pictured below with our current President Mike Traeger. Bio girls is a 12 week program that is for girls ages 7-14 in Sauk Centre. 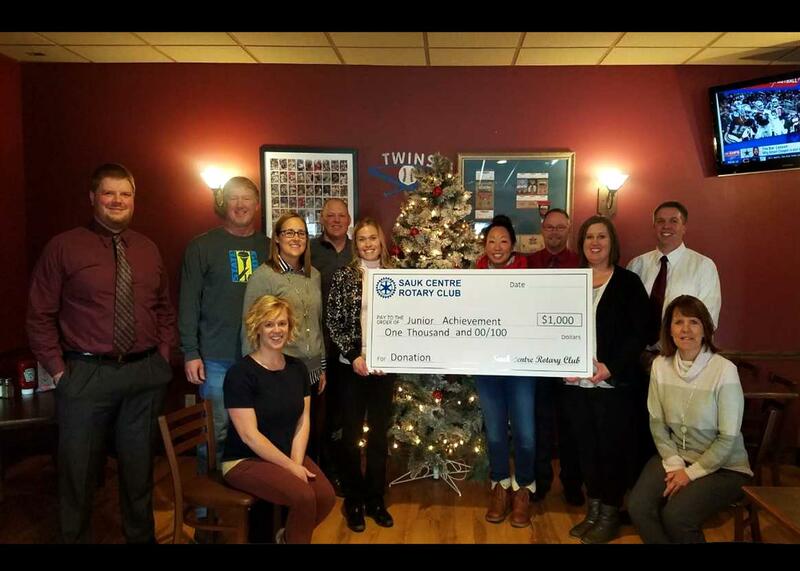 This is the first year in Sauk Centre, MN and they are looking for some start up funds. It takes $3500 just to get the program up and running for a full year. They can allow 35 girls into the program, IF they receive more than 35 applications then they will use the lottery system to determine the 35 who will be accepted. The program help young ladies find their worth so they can confidently stand up to social pressures as they get into the tough teenage years. For every 3 students there will be a mentor and they will meet weekly and do activities (most outdoors) for about an hour and a half, at the end of the program they will run a 5K as a completion to the program. There is a registration fee for each girl to participate. BIO Girls strongly encourages scholarships - "We do not want the fee to join to be a barrier for any girl". There is a link to the scholarship application right from our reg page, scroll down. Referrals receive a 100% scholarship as well. We reserve at minimum three referral spots at every site. Rose delivery day is March 14th. $20/box of 24ct Caramels, Sea Salt and Regular. 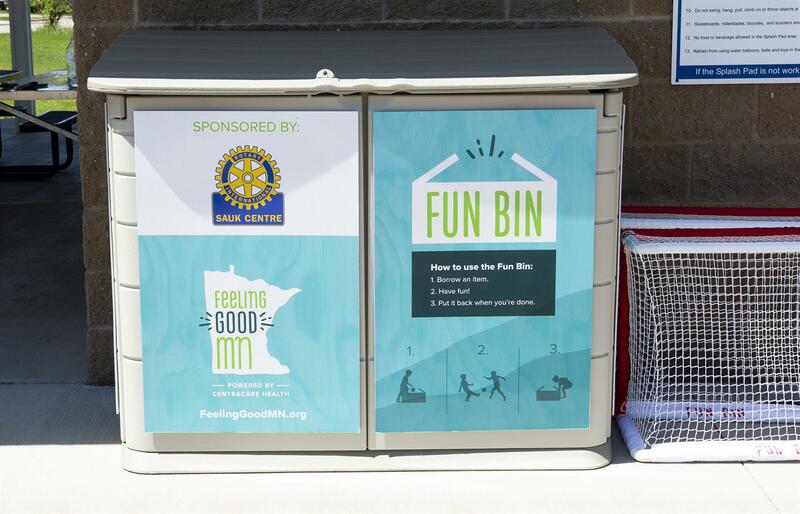 Ask any Rotarian for help in getting yours this year. 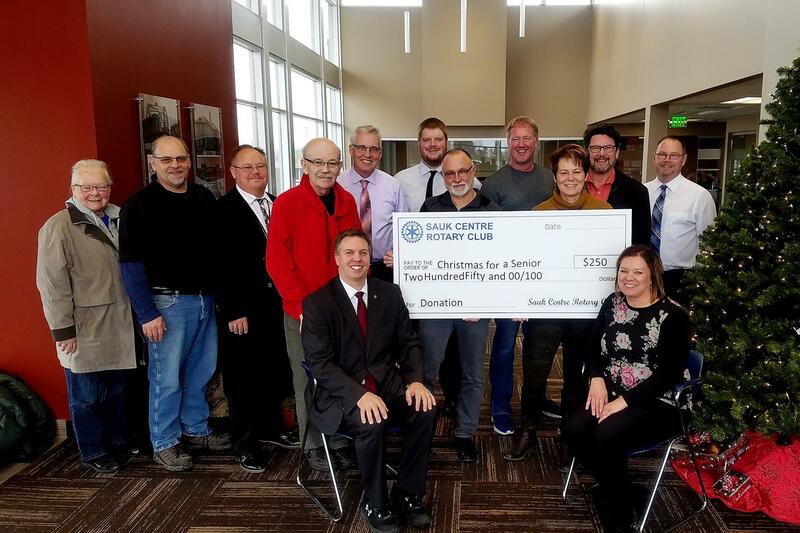 We are so fortunate as a club to be able to donate to such great organizations, right here in Sauk Centre. 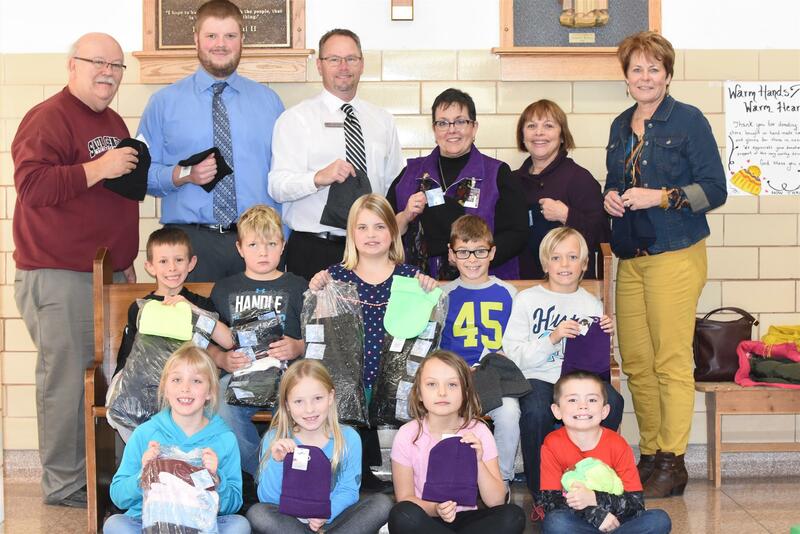 Our mission is to provide weekend food packs to students at Melrose and Sauk Centre elementary schools. We know that students with enough to eat are ready to learn. By feeding the young minds in our community, we hope to help our future leaders concentrate on school and not empty stomachs. Volunteers accepted for shopping, wrapping and delivery! THANK YOU to all of our sponsors and everyone who participated in our event this year! 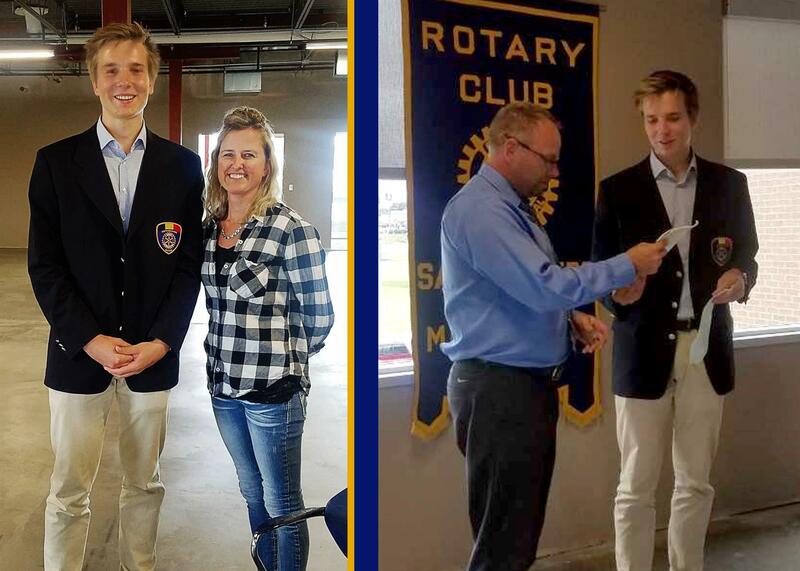 We are so grateful for everyone to continues to support our Rotary Club. 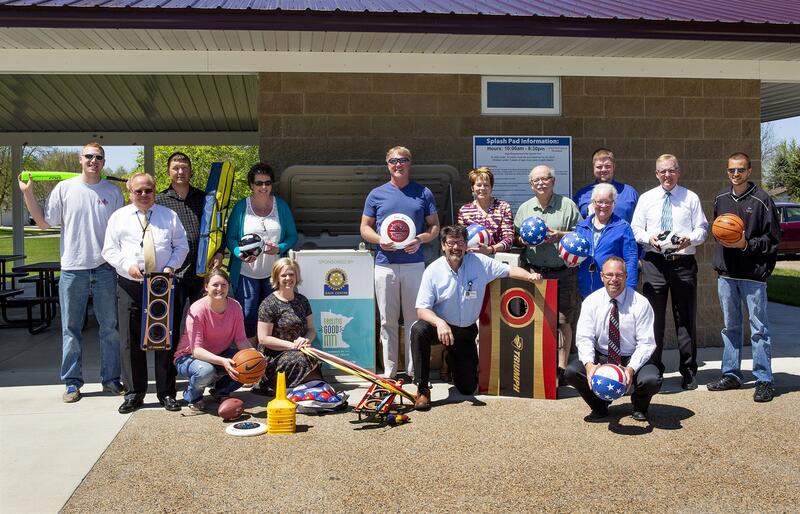 We love to be able to put the money back into the community. 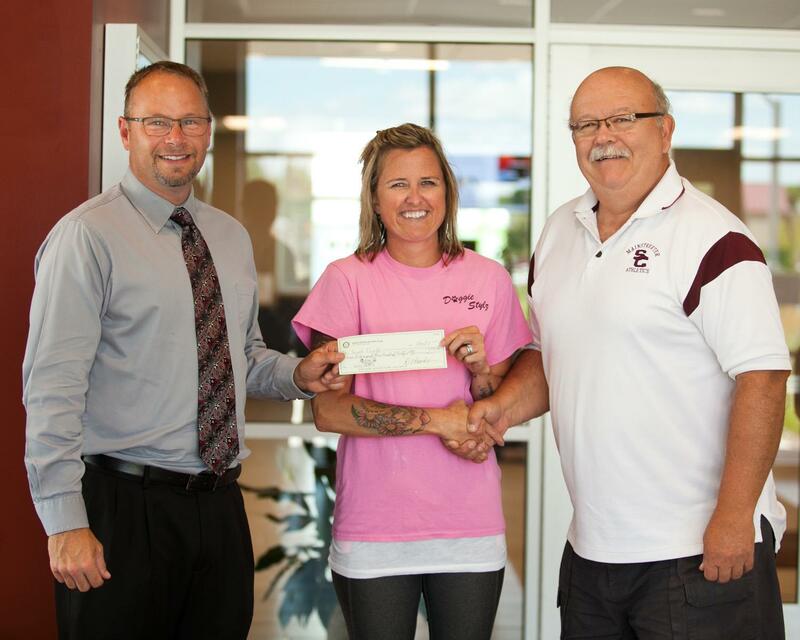 BELOW are a few photos of what we did with some of the proceeds from last years fundraiser! 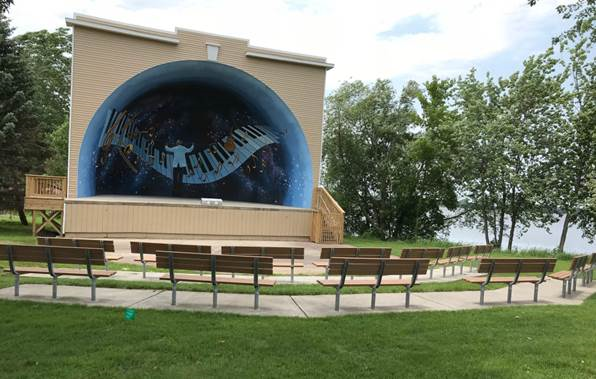 If you have a chance head down to the Sinclair Lewis Park, by the bandshell to check out the benches, or better yet, catch a 'Concert in the Park' on Wednesdays at 7pm. We also installed a Little Free Library at the Sauk Centre Area Community Garden. Congratulations to our 50/50 Raffle winner Abby Welberg. $3,840!! 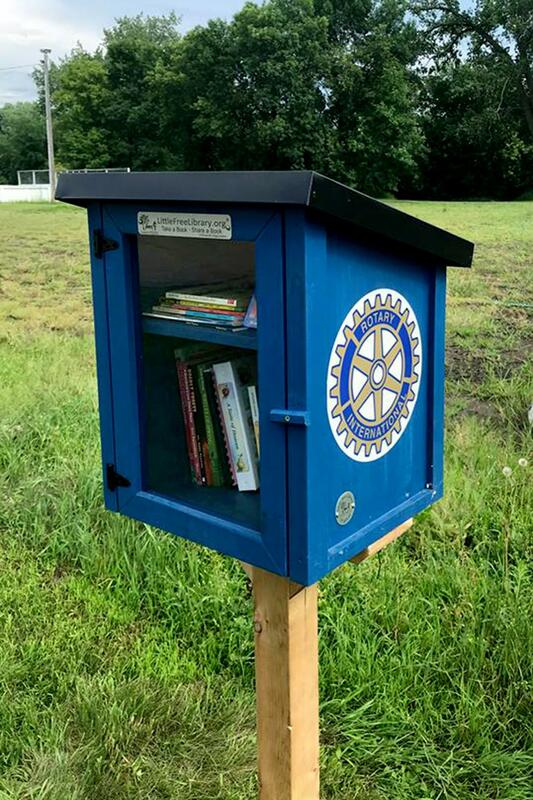 Little Free Library- It has been installed down by the SC Area Community Garden. Please add books if you can. Anything is great!! Attached is a photo. How cute is that?! Thanks Mark Kranz for getting that ordered and installed! Also, while your at the garden adding books, pick/weed the garden and enjoy some fresh veggies!! "See you at the Garden"
Park Benches Installed down at the Sinclair Lewis Park, by the bandshell. They look great and are a wonderful addition to the Concert in the Park Series for the City of Sauk Centre! 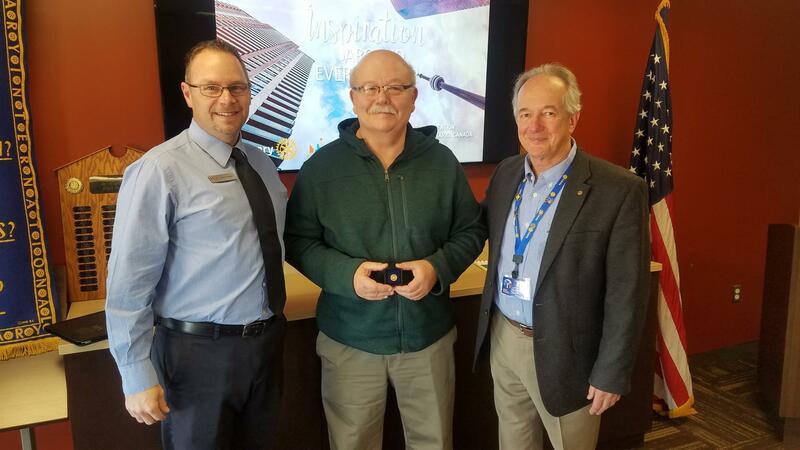 On Tuesday February 27th, 2018 Bob Bearson was awarded a Paul Harris Fellowship at the Sauk Centre Rotary Meeting held at MN National Bank in Sauk Centre. 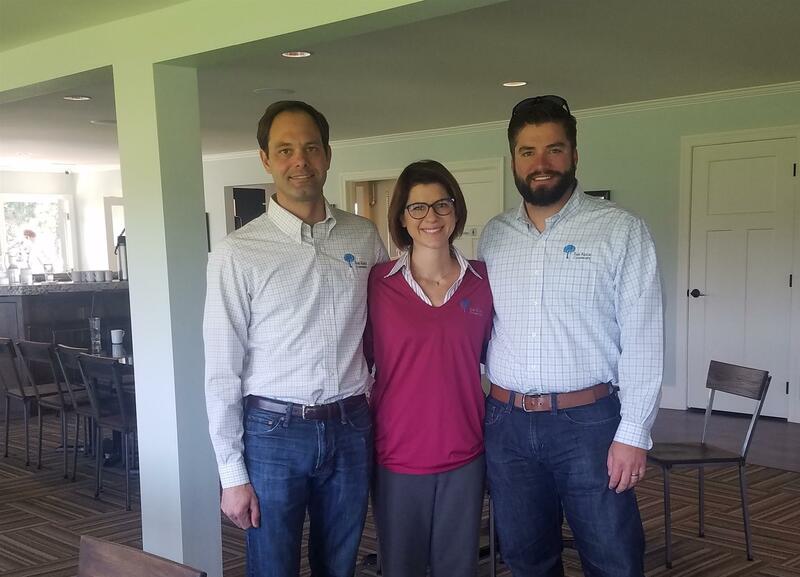 Rhonda and Jerrod from Tri-CAP came to speak on Feb 20th. Tri-CAP has been around since 1962 and offers a wide variety of service to our area. 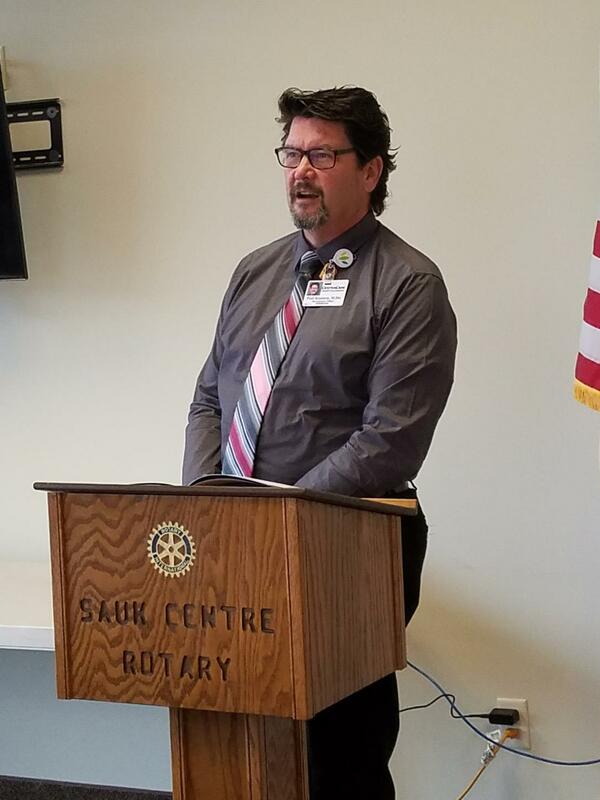 Transportation being one in the Sauk Centre area that has been useful to many residents of the community. 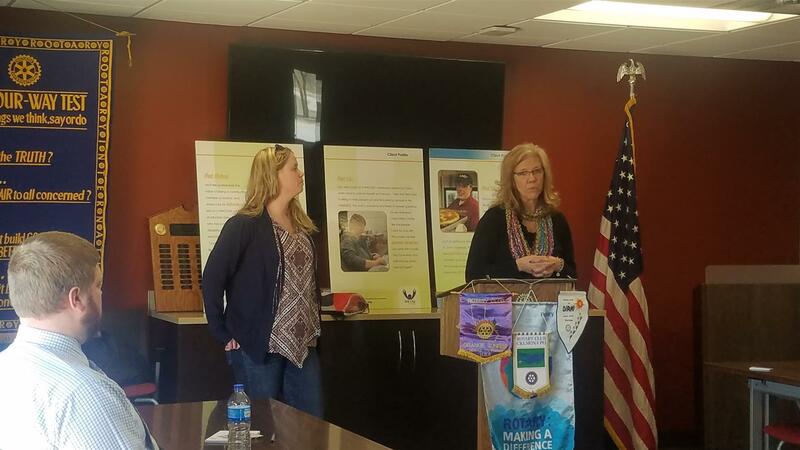 There is no age range, they serve many preschools in the area, and make many visits to the Eagles Healing nest to help get people where they need to go. You might see the red/white bus around town! 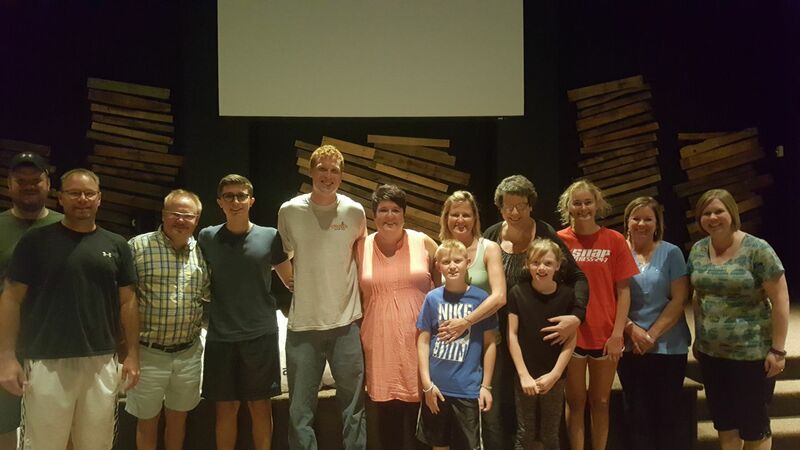 WACOSA is a non-profit organization, established in 1963, and initially started by parents seeking support for their children. 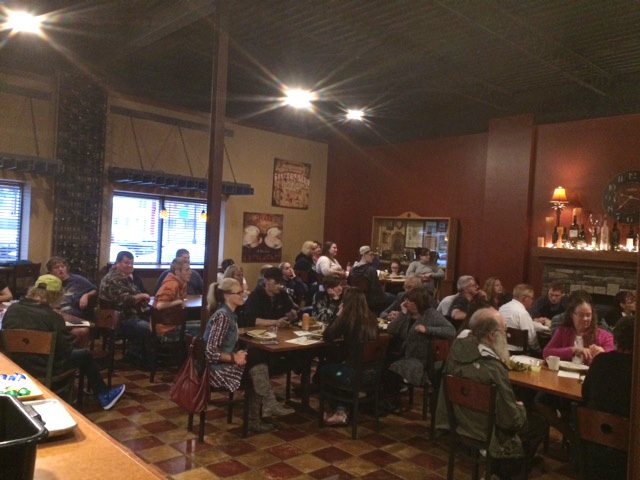 Today, WACOSA serves over 625 adults with disabilities in central MN. WACOSA’s main goal is to enrich lives and to find employment opportunities in order to give everyone the chance to live and work in their communities. While our main mission is vocational, we also offer many other services to adults with disabilities, such as art, physical fitness and gardening classes offered throughout the year. Our Seniors Program encourages our senior clients to participate in volunteering all around our community. When work is slow, our friendly professional staff work with various vocational or self-help based curricula to encourage employment and a strong sense of self-esteem. 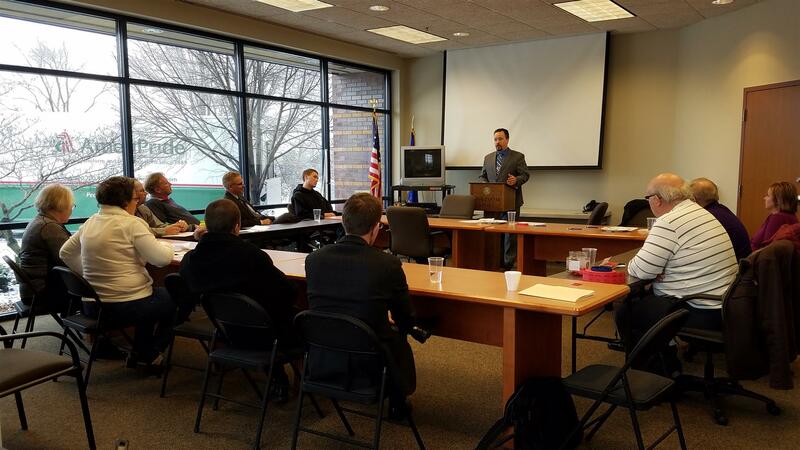 WACOSA is licensed by the Minnesota Department of Human Services, certified through the Minnesota Department of Employment and Economic Development, and accredited by CARF. WACOSA established it's name by combining the first two letters of the communities that we had physical facilities in. WAite Park, COld Spring and SAuk Centre. While we no longer have a facility in Cold Spring, we still service that area, and many more! 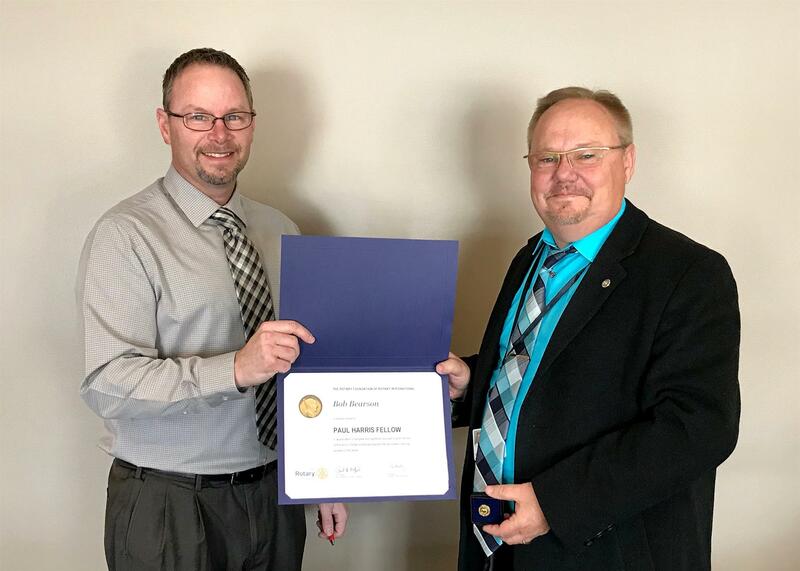 On Tuesday January 16th, 2018 Mark Maloney was awarded a Paul Harris Fellowship at the Sauk Centre Rotary Meeting held at MN National Bank in Sauk Centre. 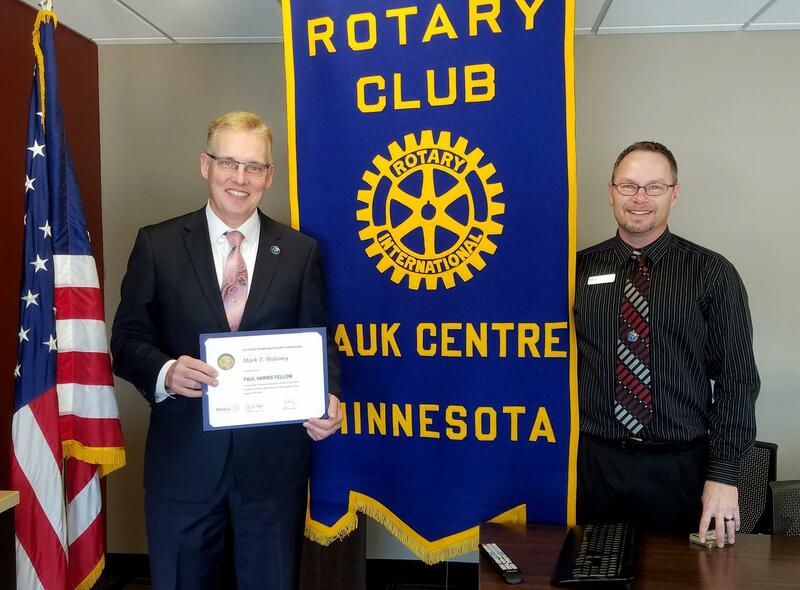 On Tuesday January 9th, 2018 Dan Brooks was awarded a Paul Harris Fellowship at the Sauk Centre Rotary Meeting held at MN National Bank in Sauk Centre. 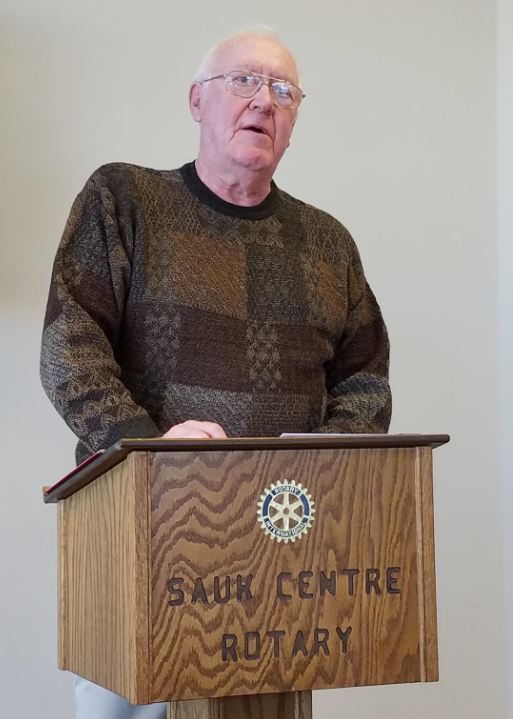 On Tuesday January 9th, 2018 the Sauk Centre Rotary club had the pleasure of listening to our District Governor speak. 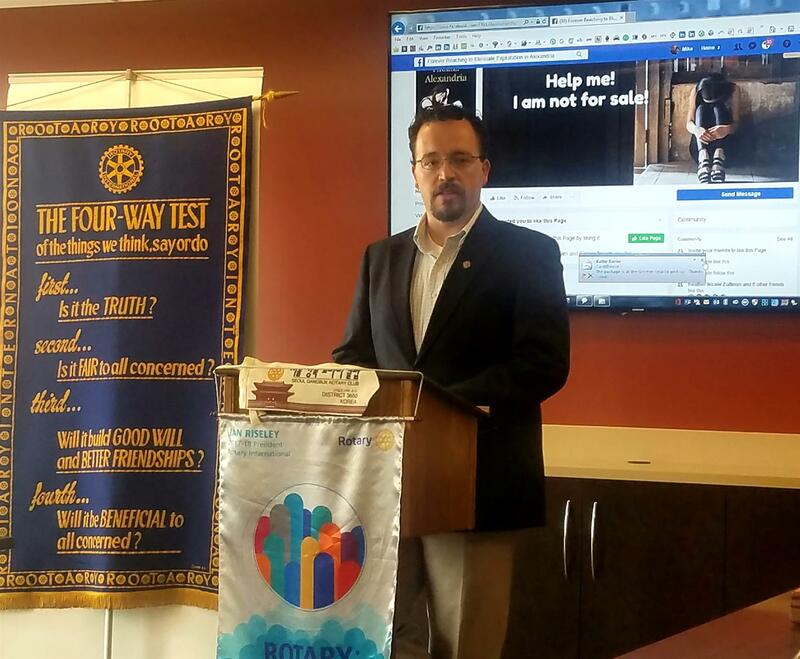 Bob Halagan has deep passionand belief for what Rotary is and how we can change the world. 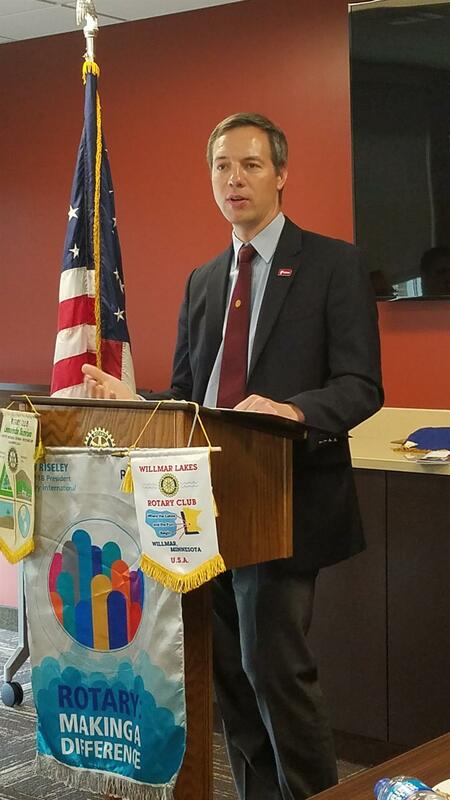 Bob Halagan has been a member of the Buffalo Rotary Club since 2000 and served as its President in 2009-2010. 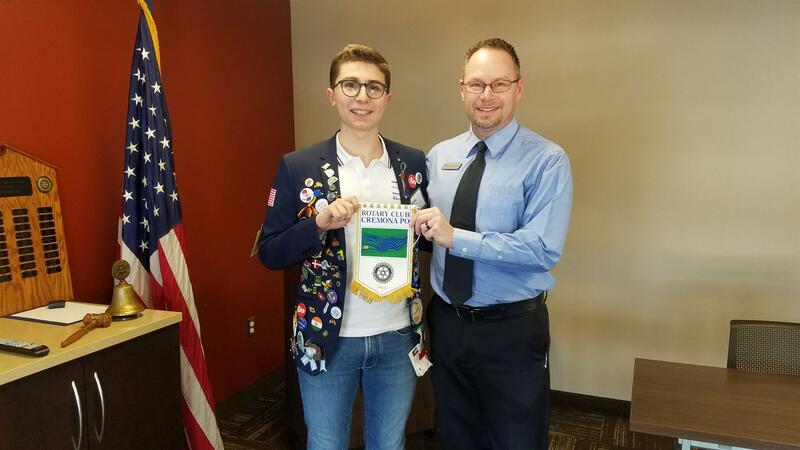 He has also served as District 5950 Legal Counsel from 2011-2014, Area 13 Assistant Governor from 2010–2013 and District Fundraising Chair from 2013-2016. 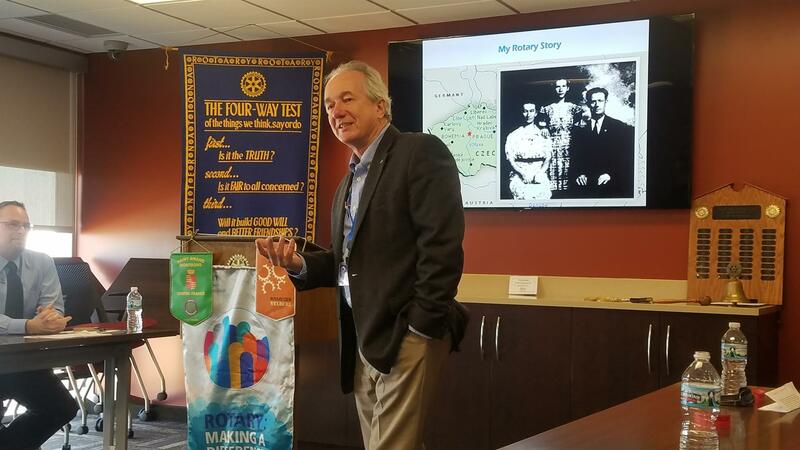 Bob’s Rotary journey has taken him, among other places, on numerous service trips to Guatemala where his club, in conjunction with other Rotary clubs has authored or participated over $400,000 in Rotary grants including grants promoting economic development, nutrition and maternal health for indigenous women. B.L.E.N.D (Better Living Exercise and Nutrition Daily) is committed to improving the health of children in Central Minnesota by reducing the epidemic of childhood obesity. 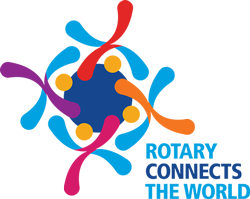 A coalition of medical professionals, parents, and health care advocates work in four focus areas: physical activity, nutrition, medical community, and advocacy. 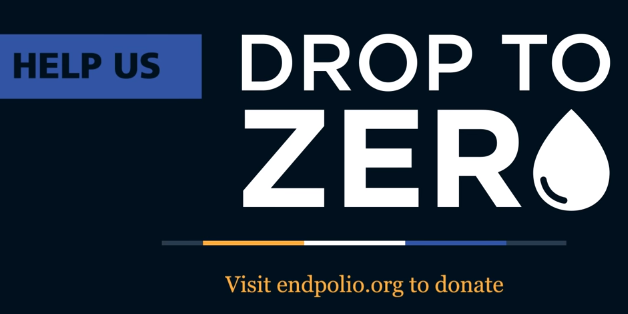 WORLD POLIO DAY - we had a little World Polio Day info session where we shared 3 videos on the history of polio and Rotary's involvement, the Gates Foundation's initiative to match donations $2 for every $1 donated and the Drop to Zero campaign to eradicate polio. Kim is an associate Advisor for Thompson Wealth Management. 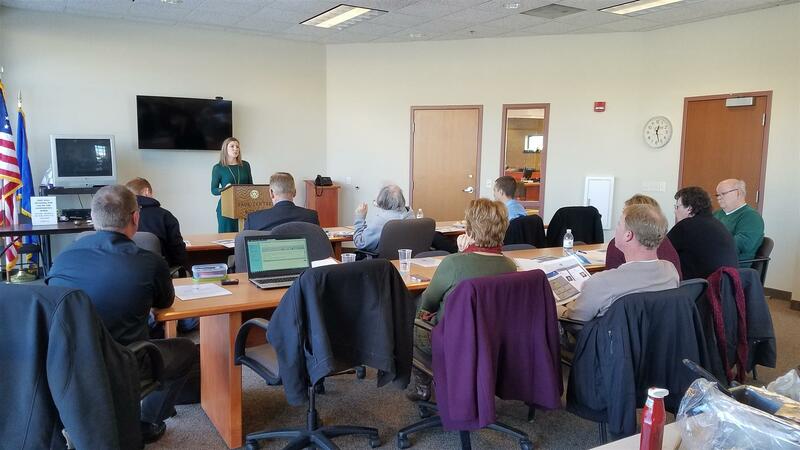 Kim offers advice for financial planning, helping them prepare for financial independence and managing their investment portfolio. She and her Husband Roger, live in a rural area south of Alexandria. She has really enjoyed being able to help country families with financial needs. The Click family at The Old Course, Sauk Centre. Steve and his family purchased the property in 2012 and have been busy remodeling. The golf course has been full renovated, it is now a reversiable 9, so you can plany both directions. Last season they hosted 15 events, other than that, they were closed. Next year (2018) they are planning to do private memberships and guests. Plans to offer, Pro lessons, food beverages and to be open to hosting events. Our mission is to provide weekend food packs to students at Melrose ( 67 students) and Sauk Centre (50 students) elementary schools. We know that students with enough to eat are ready to learn. By feeding the young minds in our community, we hope to help our future leaders concentrate on school and not empty stomachs. They are currently working with Coborns to get the best deals, also for meal planning. In the pack, the student will find 2 breakfast items, 2 mini meals, 2 snacks, and 2 fruit products. Mark Maloney from MN National Agency gave us an update on health care. 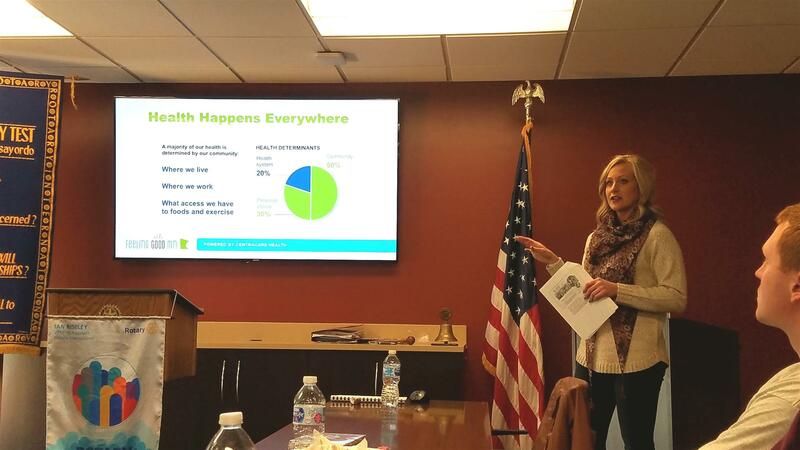 What happened and what to expect this year during open enrollment. 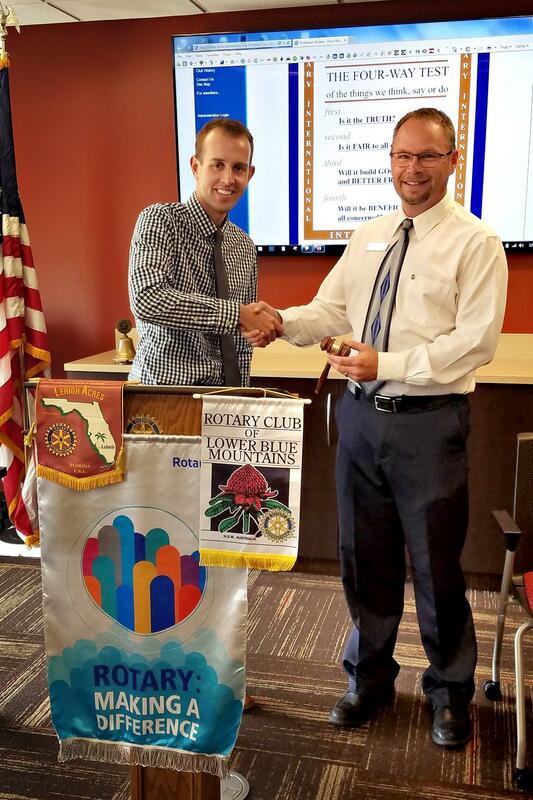 Chris Johnson passes Presidential duties to Mike Traeger. 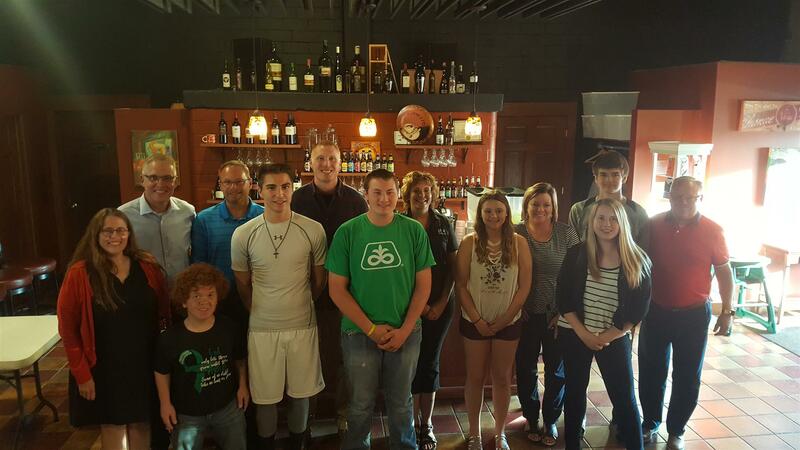 Another successful year for our Strive program for students at Sauk Centre High School. 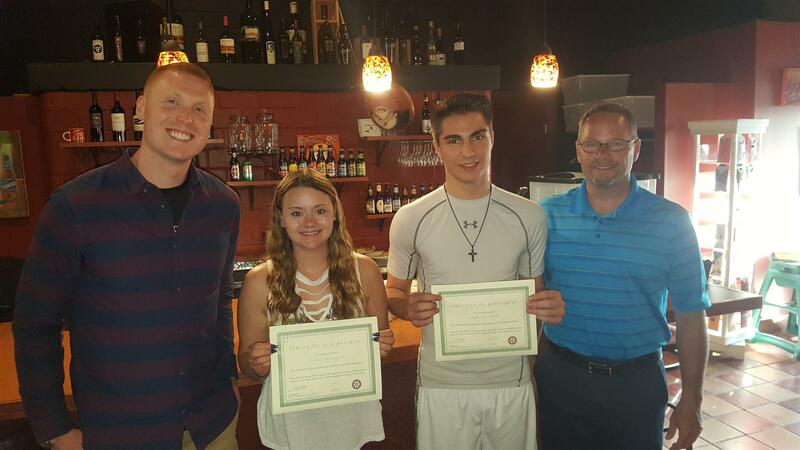 Pictured below are the achievers of the final awards presented at our banquet this year, which was held at Jitters Java café on May 17th. All the students and mentors have been working very hard since the beginning of the school year, meetings are held at the SCHS, once a month. Students are able to have lunch and meet with their mentor and talk about anything that they want advice with. It's been a successful year! 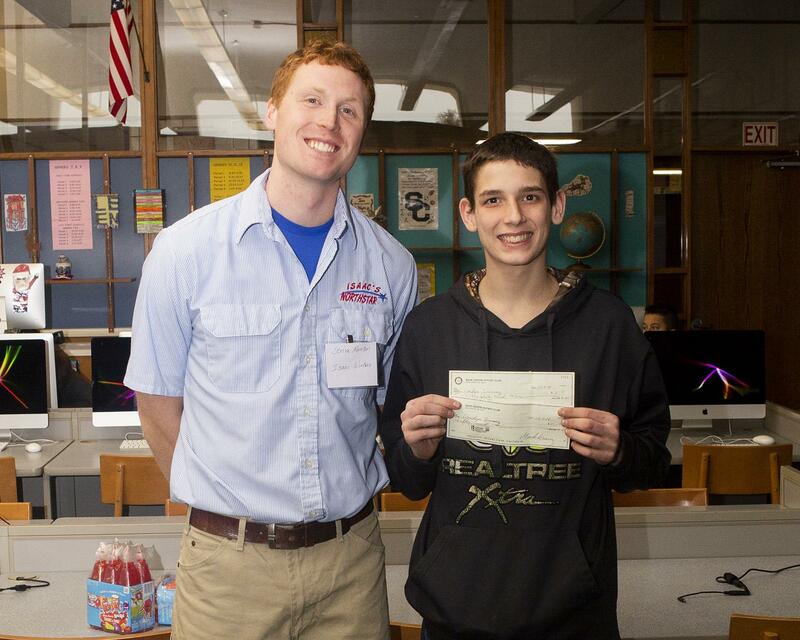 $1000 scholarship was Emma Copley and $500 winner was Devin Thielen. 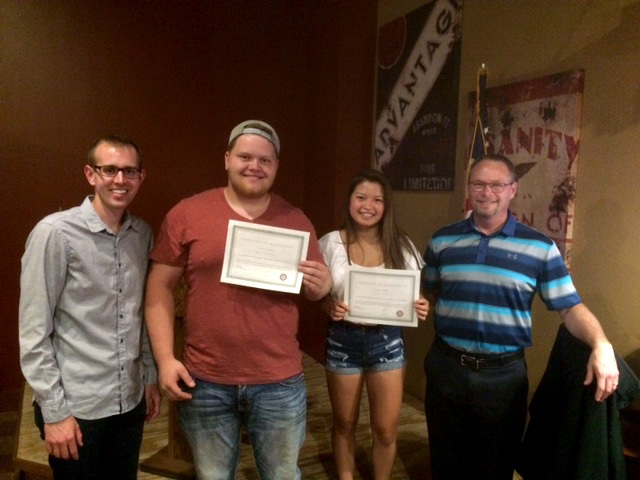 $250 attitude award to Emma Copley, $250 attendance award to Jon Asfeld, Tablet to Shauna Wiese. 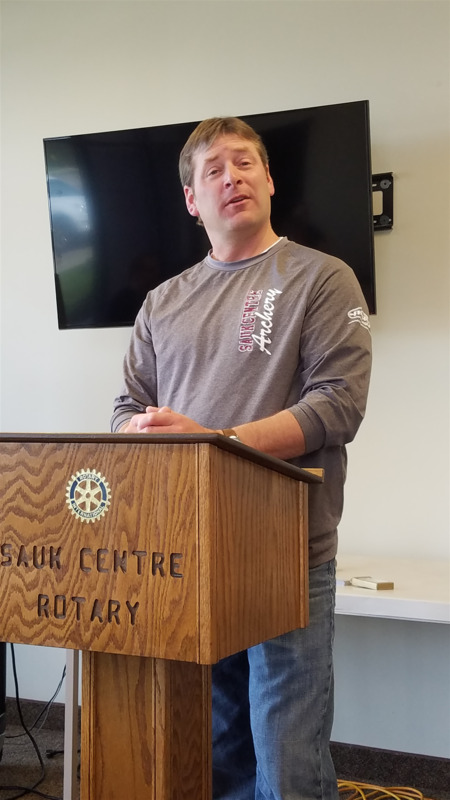 Sauk Centre History Museum & Research Center has a new place to call home. . 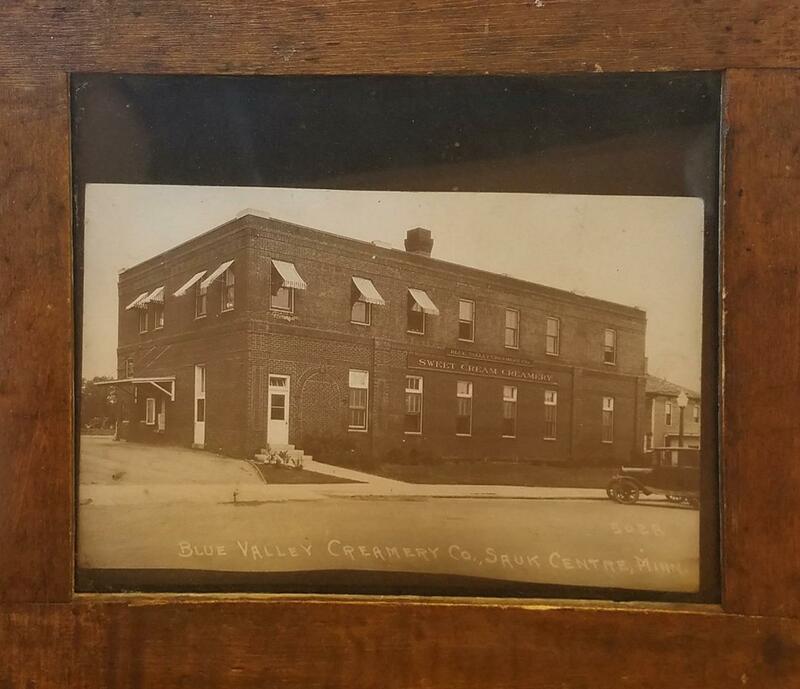 It will take up to 8 years before they can call the old creamery building in Sauk Centre their permanent home. The Museum Board of Directors are looking at renovations and grants to complete the project. The board has many plans and dreams for this building and when it's completed, this is sure to be an attraction that will showcase the history and traditions of our small community. High quality Health-care, close to home. Paul's main goal at Centra Care is to help educate people about insurance and how to gain access to healthcare. He talked about the economic impact that Centra Care has in our small town- over 200 jobs. - Nursing home remodel or replace? Still very early on and brainstorming. - Come and See events, tours for the community. June 20th, golf tourney. All invited. Why they are safe, how efficient they are, low investments costs, 30%tax credit, why solar panels are becoming popular. Raising the value of your property, they are the most reliable renewable resource. 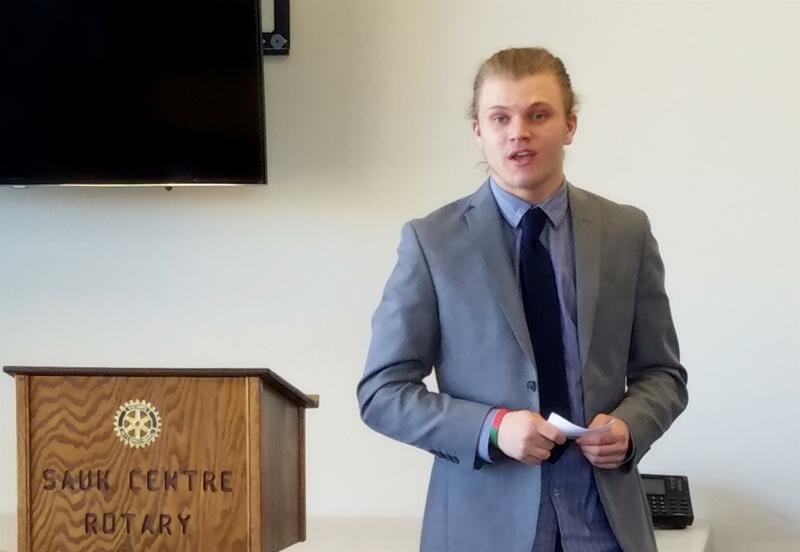 Josh Waltzing from Empower Boxing and Taekwondo of Sauk Centre. 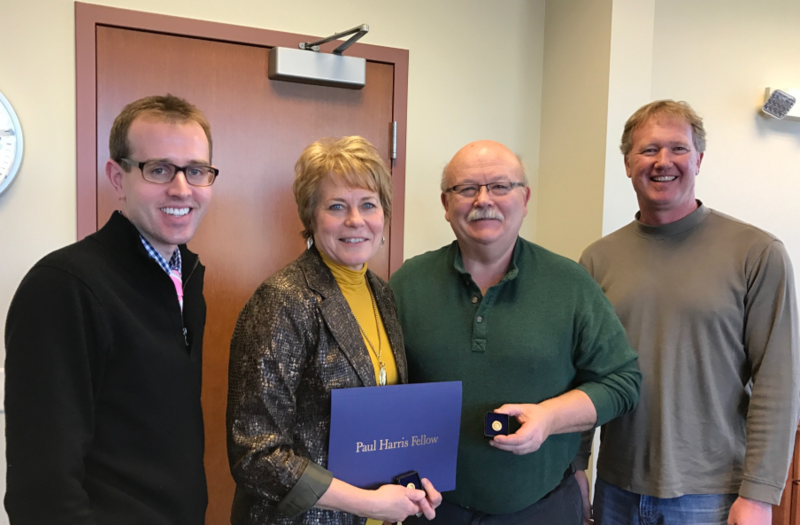 On Feb 14th, Cindy Karasch was awarded as a Paul Harris Fellow and Dan Brooks was awarded as a 2-time Paul Harris Fellow. 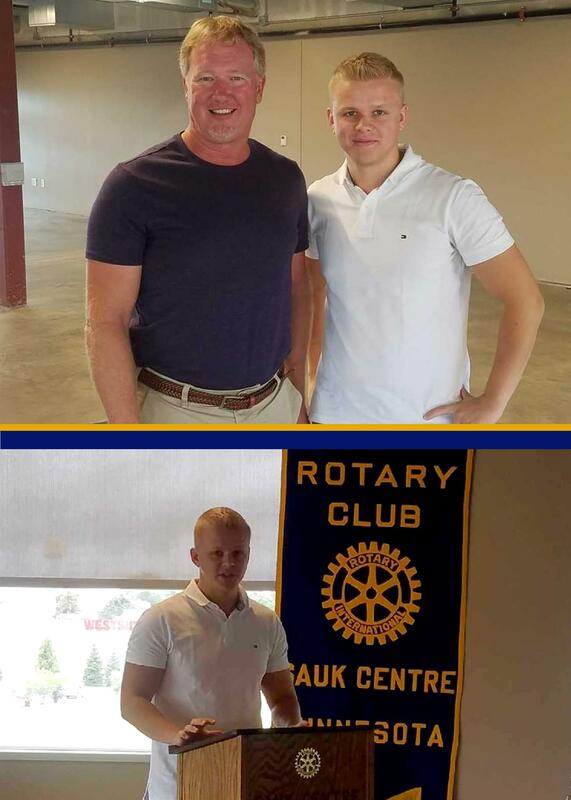 Congratulations to both of them and their contributions to the Rotary Foundation and our club! Also, our club viewed our website and it's capabilities. 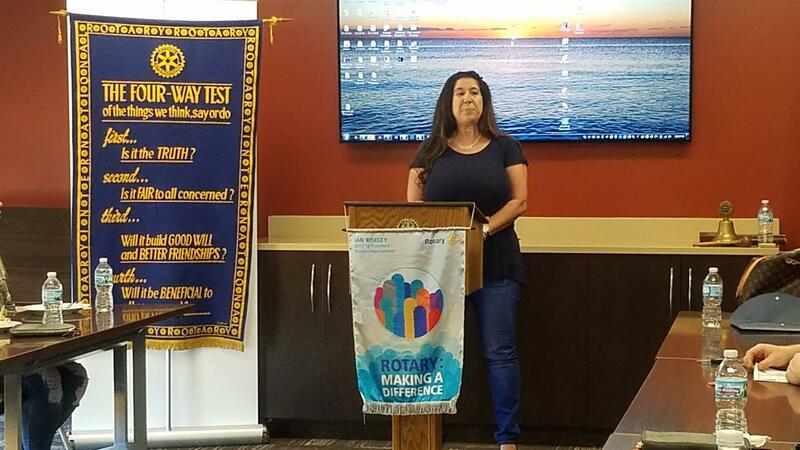 We're looking for all Rotary members to update their profile on our website. Mike will email all members their login info and re-assign passwords so everyone can update their profile. Please do this by Feb 21st. Rose sale is on April 5th. Start selling roses. 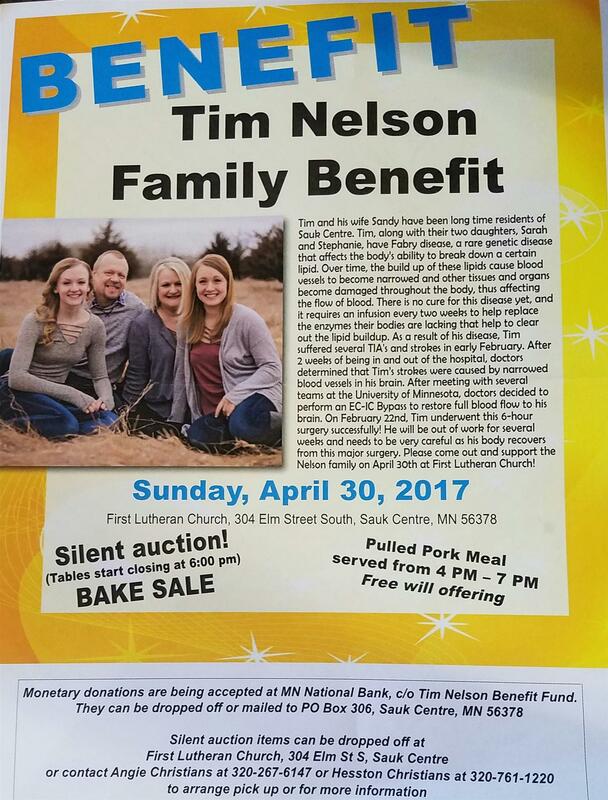 Tom Haase also reported about selling caramels and we'll be selling both regular and sea salt caramels. Our cost is comparable to the roses and gives each of us another item to sell for those who don't desire roses. These will be sold for $20 each as well. 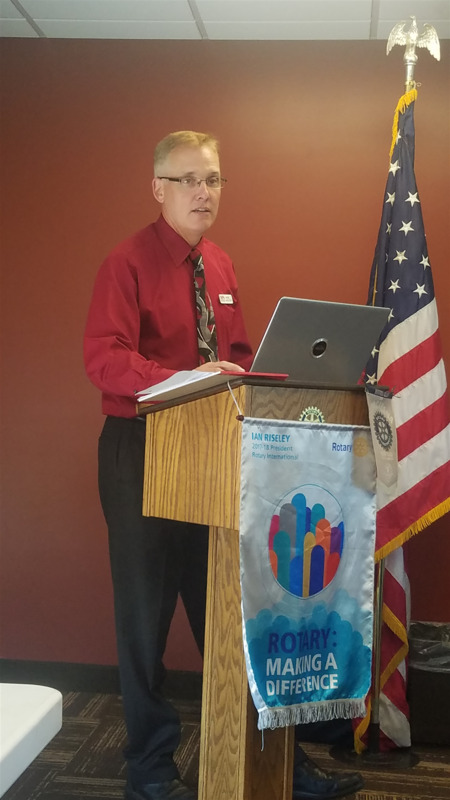 Guest speaker: John & Dorothy Sells were at our January 17th meeting to discuss their involvement with the food shelf. They have a 20 per group of volunteers that work diligently to meet the food needs of our community. 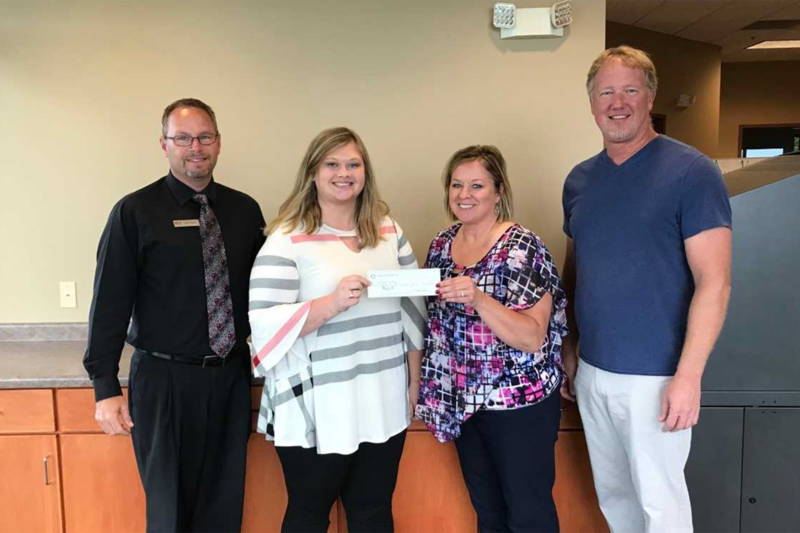 They also provide assistance to those passing through town and serve the entire Sauk Centre school district area. Funding levels at this time are sufficient, but the need for funding is on-going and the needs of the community continue to grow. 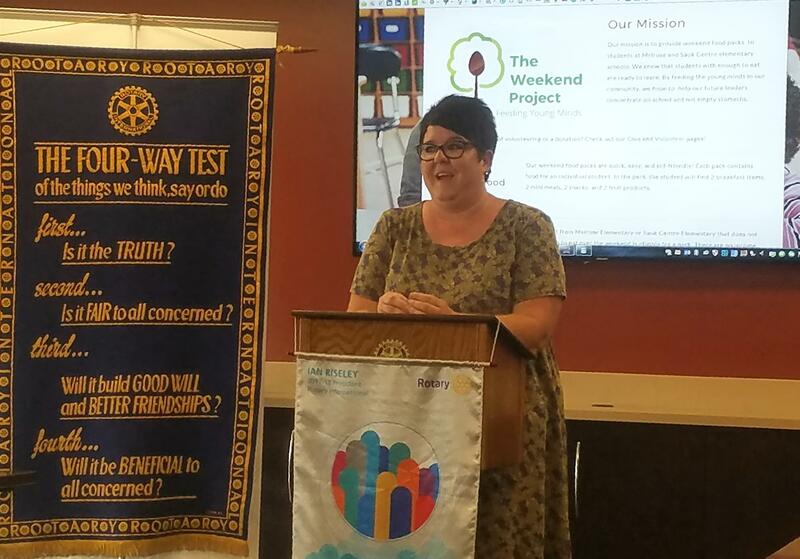 Guest speaker: Jackie Alderman from Ameriprise. New location in Sauk Centre North of Jitters in the Corner Shop location. They have 3 employees and a location in St Cloud. Jackie and her brother Jim are both natives of Sauk Centre. 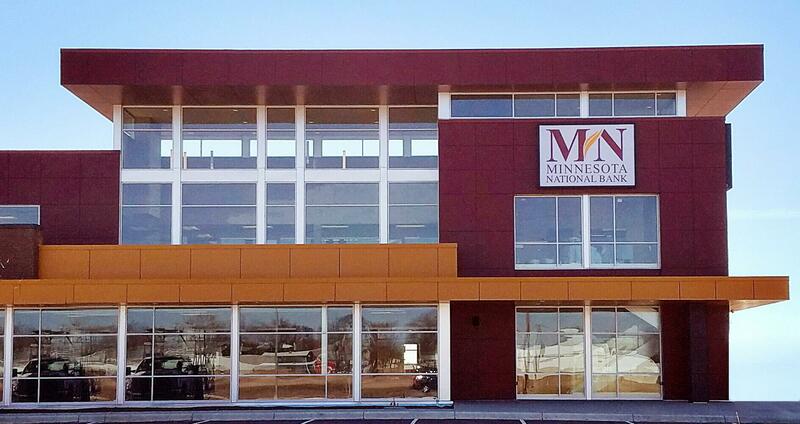 We welcome them and their new business location to our community. 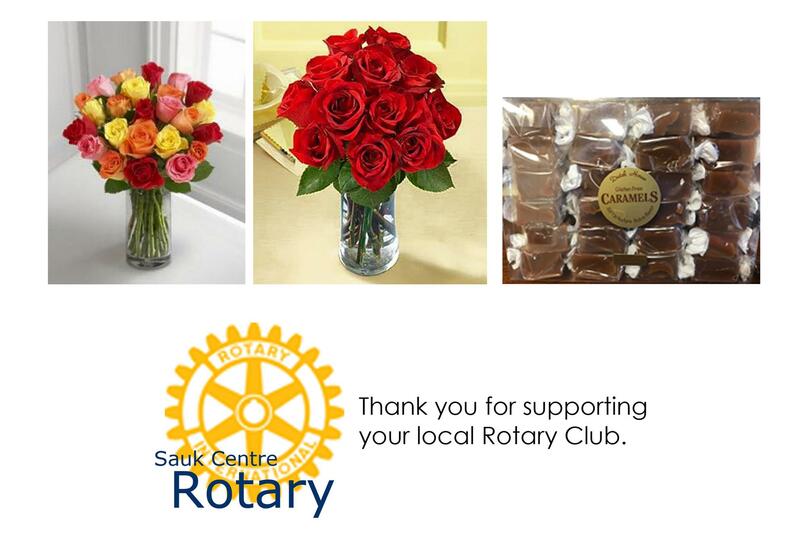 The Sauk Centre Rotary want to say THANK YOU to all that purchased roses from our club! 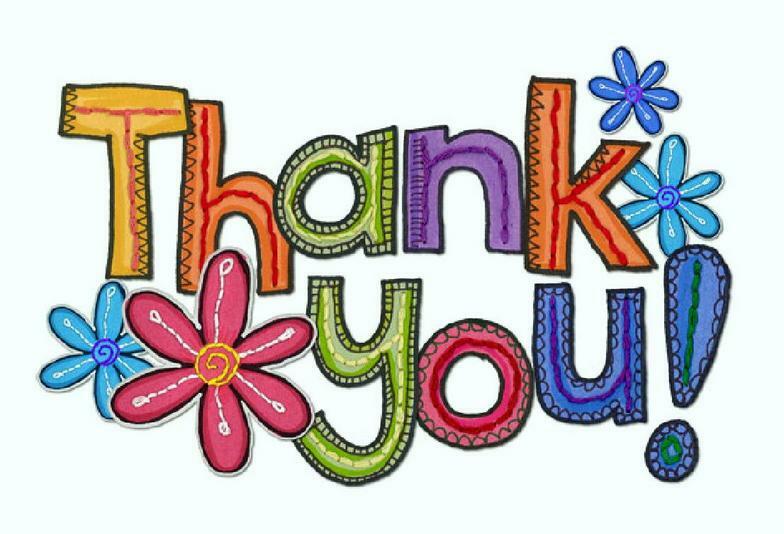 We appreciate your support!! We will be selling roses in 2 color options, Lollipop or Red for $20 a dozen. They will include babies breath and greens. 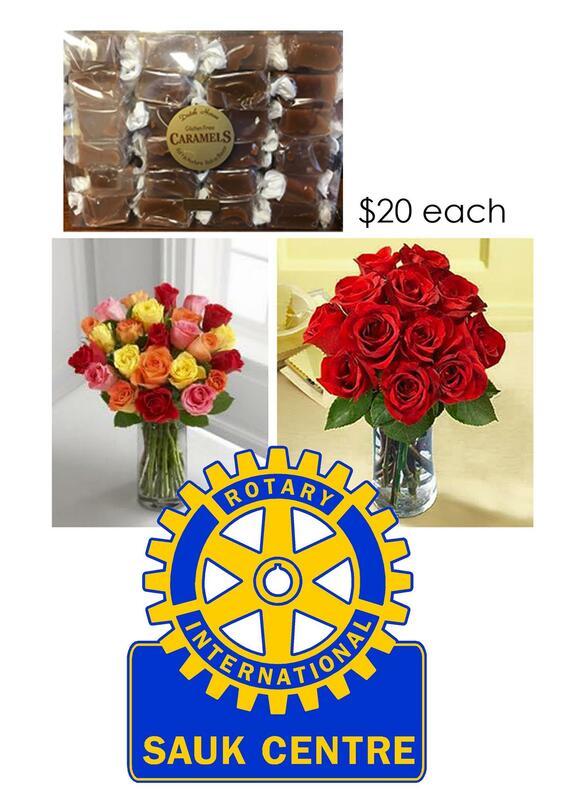 If you would like to order some please email saukcentrerotary@yahoo.com or call 320-290-4359. They will arrive on April 16th. 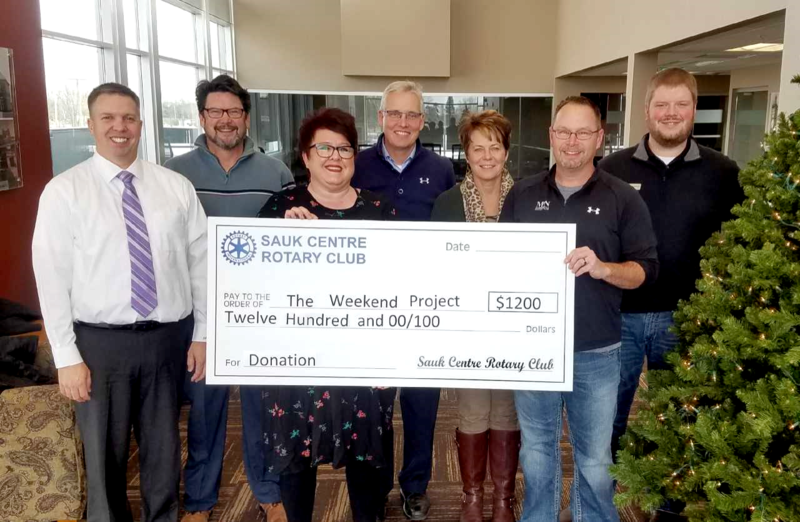 The Sauk Centre Rotary would like to give a BIG thank you to all those that supported the Polar Plunge and helped make it such a big success for the 1st year!